Nathan Rankin was looking smooth all day, taking the Master-30 and overall win. 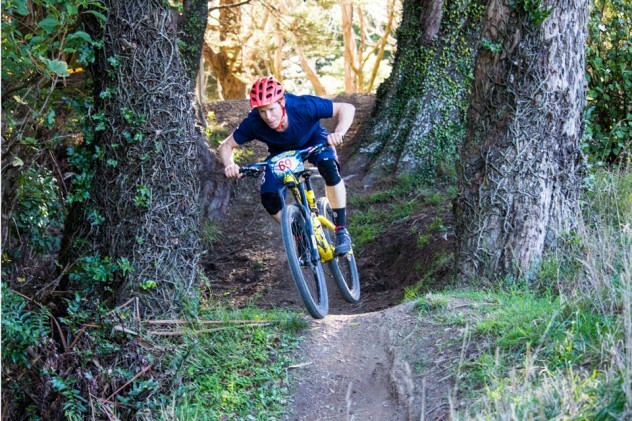 The Mount Vic Super D is becoming a treasured part of the Wellington race calendar, with riders flocking to the trails running parallel to Alexandra road for a day of shuttle-assisted practice culminating in a timed race run in the afternoon. The event usually happens in February or March, but a scheduling conflict (the Wellington Car Club’s Alexandra Hill Sprint) forced a shift to May this year. Being May, there was a reasonable chance that the race would be a muddy root fest, and early forecasts ranged the gamut of rain to gale force winds. On the day, the sun was out, and Wellington’s favourite northerly wasn’t to be seen. Ben Stephens knows that you stay out of the ruts to be quick. While the format from previous years continued, the course was modified, with the top two corners of TTS being used instead of the standard bomb-hole. 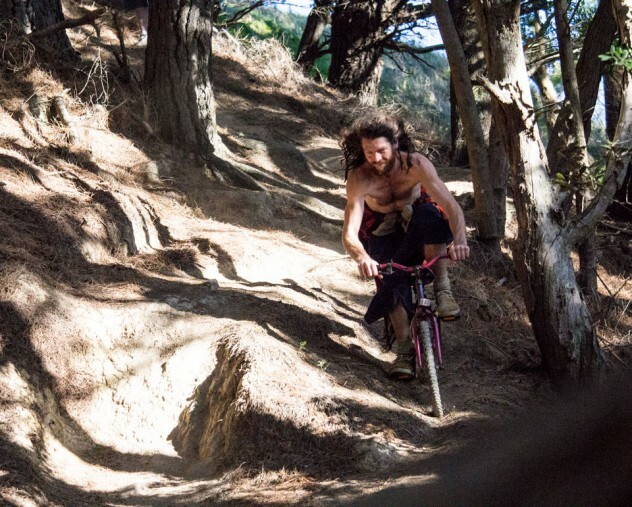 The corners are fun – warp speed with small drops, but the root-covered twisty climb back up to the next high point on the course meant that more than a few fufu valves were blown. A pristine day for racing in Wellington. The views from Mt Vic are pretty epic in all directions. 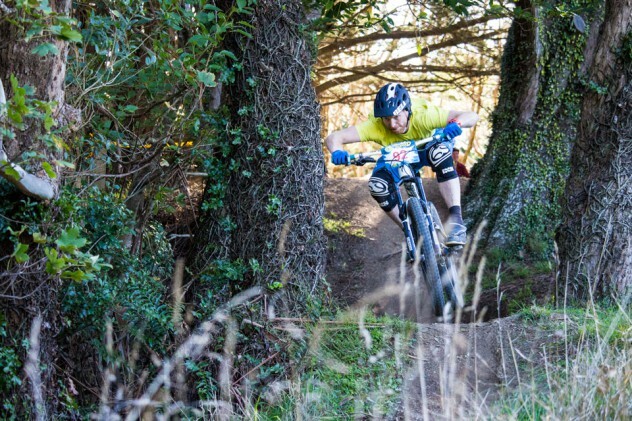 The course's iconic sections – “Rod’s Drop” and a rooty off-camber section towards the bottom of the course were once again spectator magnets, with the faster riders (such as eventual overall winner Nathan Rankin) showing how it should be done. Rod's Drop had the gate opened just for the race. A particular stand-out this year was the Mini-D for kids under 12. 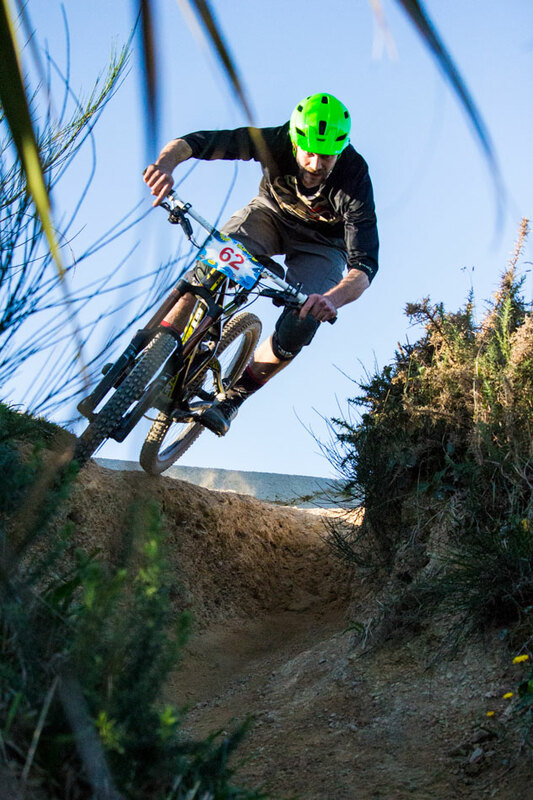 37 young rippers (many of them participants in the WORD kids bike skills programmes that run in Wellington throughout the year) turned out for the fun event, with an hours shuttled practice followed by a timed race run. 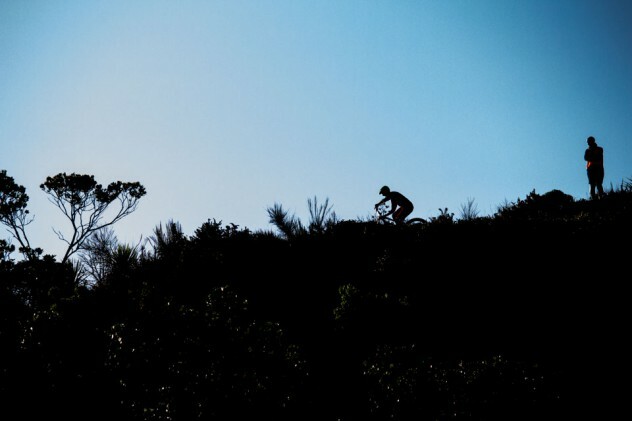 This is a real bright spot for mountain biking in Wellington with WORD building a large cohort of skilled riders for the future. Even when climbing the steep bit in practice, the large contingent of women riders were having a ball out on course. Dave Carlyon ruled the old roosters in Masters-50. Ali Quinn drops into TTS on his way to the win in Masters-40. There were a heap of groms out racing, great to see the next generation is strong in numbers and keen as mustard for a bit of racing, thanks largely to the efforts of groups like WORD. Are we having fun yet? Liam Bailey was hamming it up for the camera all day, and had the style to back it up. 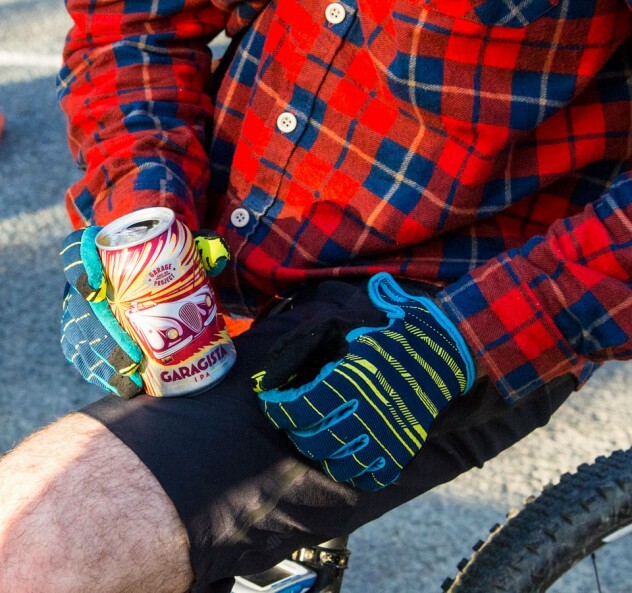 Plenty of Garagista goodness flowing post-race. Racing for the "main event" Super D kicked off in the afternoon. The sun was out, the track was dusty and it was warm (so long as you weren't in the shade). 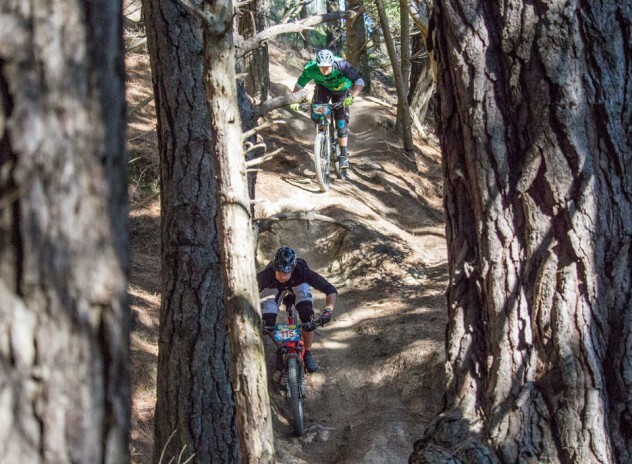 With nearly 130 racers, there was just under 2 hours of raucous heckling and cheering to be had, with noises coming from the trees all the way down the course. Nathan Rankin made the trip down to Wellington, and took out both the Master-30 and overall with a time of 5:49.5. Ali Quinn (Master-2) showed the benefits of training for the Trans Provence in June, with a blisteringly fast (for an old guy) 5:55.2, followed closely by Tyler Perrin (Senior 19-29) on 5:57.7. Dave Carlyon showed his consistency in the Master-50 class in a time of 6:40, although next year he'll need to contend with the RodFather (3rd in Master-40 in 6:21.1) who explained on the podium "This will be my last year in this class. I turn 50 next year, and I can't wait. So long suckers!". Jack Humphries won the Junior (17-18) class in a time of 6:02.4, and Max Wickens rounded out the mens results with a 1st in the Novice (16-19) class in a time of 6:24.1. In the womens classes, Khulan Tumen won the Novice class in a time of 8:24.5, and Sasha Smith beat Sarah Atkin (racing in a skeletal onesie) in a time of 6:26.4. Don't know who this guy was, but he was up and down the hill all day on his 20" crapper looking for plaudits maybe. Can't see the trees for the Forrest. Ali Quinn (115) on TTS. His summer of training for Trans Provence is paying off, with a 2nd overall, and completely smashing the Master-40 class. Tristran Ratcliffe - number 26 and 26th overall. The RodFather. Patron saint of drops onto soccer fields. Too fast for the photo, and third in the Master-40 class. Next year he'll be terrorising Master-50, and in his words "can't wait for it."